Remember the open meeting in which Trump discussed the illegal immigration problem with the Democrats and Republicans who want amnesty without border security? This meeting took place the day after a book came out detailing how Trump was mentally unstable, suffered dementia, and didn’t want to be president. The President didn’t just burn that book, but he burned these amnesty advocates at the same time killing two birds with one stone. The Donald played them like a Stradivarius getting them to show all their cards. Trump told them he would sign whatever they gave him. Democrat Durbin and Republican Graham went to him with a full amnesty bill that had no border security in it and Trump threw it back in their faces. What Trump did not say is that he would give them their wish list of their anti-American agenda. He said he relied on them to give him their best ideas and instead they gave him their worst. This is how you publicly expose the leftist Democrat socialists and their RINO allies and make them go on record endorsing giving rights to foreigners over American citizens. Mentally unstable? Dementia? Political neophyte? Donald Trump proved in public that he is the man in charge, in control, and in command. The proof that everything Democrats say is a lie is when they simultaneously declare that Trump didn’t want to be president but used Russia to hack the election to steal the presidency. Nothing they say can be taken as true. Likewise, NeverTrumpers who say they are for conservatism, but would rather have Hillary advancing the leftist agenda than have Trump advancing conservatism, are not conservatives, but wolves in sheep’s clothing. People must beware of being naïve, of allowing deceivers to pull the wool over your eyes and blow smoke in your face claiming they are acting out of compassion. When you hear things like “Trump sold out conservatives,” it’s like the rumors that someone found a rat’s paw in their McDonald’s hamburger. People lie! The percentage of people who lie is the epiphany I didn’t have till I was over fifty years old! There is a small percentage who deliberately try to deceive, and twice that who are pathological liars who try to cover up their crimes, but there’s ten times that number who repeat falsehoods out of ignorance or exaggerate to make themselves more important than they are. If I had realized this in junior high school when I should have them my life would have been very different and I wouldn’t have been so gullible to take everything at face value. Since the light bulb came on I always investigate anything that anyone says that I find questionable. If you listen to Democrats they would say Trump went back on his word in that meeting and is untrustworthy and unstable. But if you look behind the curtain you see how he played them. It was masterful! He truly is the Master of the Art of the Deal. He is also a Christian conservative American patriot who is a business genius. Under his leadership America is heading for another generation of prosperity as we experienced under Reagan and Gingrich. We can only hope that the ignorant generation learns to turn from their indoctrination to believe that socialism is beneficial just because there is some corruption in capitalism. Then perhaps they will turn from Democrats who say that tax cuts creating economic growth, bonuses, and raises are “poop.” Perhaps they will realize that every Democrat effort to unseat Trump has been efforts to overthrow the will of the people in favor of their masters who want foreigners to supplant citizens. The greatest legacy Donald Trump can make is to eradicate the socialism being promoted by leftist Democrats and truly make America great again, and he is right on track doing just that! He just demonstrated how he is castrating the Left with this last effort of theirs to shut down the government and force him to yield to their demands. Real men don’t give in to bullies. They knock them down! Now that Democrats have proven they don’t care to solve the illegal immigration problem, but want to exacerbate it to use them as a campaign prop by which to beat on Republicans as racist Nazis. Donald Trump, the political neophyte, just forced Democrats to lay all their cards on the table and is laughing at them. The man the Left says is a reprobate, an idiot, and a fool, has just made fools of them to the nth degree exposing their entire party and their entire agenda as being nothing more than a group of elitists duping the ignorant masses. Trump has accomplished more than Ronaldus Magnus did for two reasons; 1) he has a Republican Congress instead of a Democrat Congress to fight, and 2) he not only knows how bogus Democrats are, he knows how to make them trip in public and fall on their faces to expose their backsides. 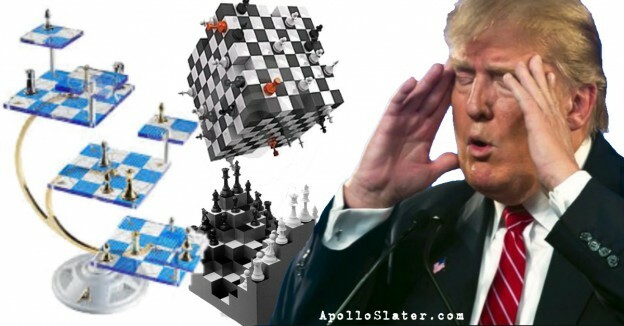 Fearful conservatives who doubted, NeverTrumpers, liberal Democrats, and leftists the world over will all taken in by Trump’s genius chess move that is several moves ahead of people who thought they were masters. Donald Trump has made me more proud of him as president than I ever imagined he could. Michelle Obama says all the Democrats have left is hope. Their only hope is that they can keep their America haters incensed and pull the wool over the eyes of fools who want to believe them once again. Likewise the FISA memo that Democrats are stridently calling lies because they know it will prove their Russia collusion story to be a complete fraud. If it weren’t then they wouldn’t care if it were released because they could then use it to smear Republicans. The people who published the Pentagon Papers, the defining moment in leftist journalism that destroyed the presidency of Richard Nixon, should be the ones calling for the truth to be exposed. But instead they are damning the truth and those who would expose it. This is the nature of the lying Left that Donald Trump has masterfully exposed. He is both a master of chess and poker and the Left are helpless against him. He is the president that patriotic Americans have desperately needed, which is why leftists have striven so hard to smear him, and I thank God for Donald Trump and pray that He blesses him mightily! If Trump’s Guilty, Why’s Everyone Afraid of This Memo? This entry was posted in Politics and tagged Conservatives, Democrat's dupe the ignorant, Democrats, Democrats abuse the poor, Democrats reject amnesty, Democrats sandbag immigrants, Donald Trump, FISA Memo, Illegal Immigration Battle, Liberals, Republicans. Bookmark the permalink.